The UK Government Forced To Revise National Statistics On Trade Union Membership In Response to Wales Institute of Social & Economic Research, Data & Methods Research. Rhys Davies reveals how official figures have under-estimated the presence of trade unions within UK workplaces over many years. This morning, May 31st the Department for Business, Energy and Industrial Strategy (BEIS) published its latest estimates for trade union membership in the UK based upon data from the Labour Force Survey. Today’s figures reveal that 6.2 million employees were members of trade unions during 2017. Whilst overall levels of membership within the UK have increased slightly since 2016, they remain well below the peak of 13.2 million that was observed in 1979. The headline figure for trade union membership is ‘union density’ which measures the proportion of employees in employment who are union members. Today’s results reveal that just 23% of employees in the UK were members of trade unions during 2017. Twenty years ago, union density was over 30%. The influence of trade unions at the workplace however extends beyond those who are members. Official statistics produced by BEIS therefore also estimate the proportion of employees who are employed at workplaces where trade unions are present, referred to as union presence. These figures are also derived from interview data collected by the Labour Force Survey. Between 1996 and 2016, official estimates of trade union presence also declined from 50% to 41%. Research undertaken by Rhys Davies at WISERD has revealed that official statistics of trade union presence have been incorrectly estimated over the last 20 years. Government statisticians have mistakenly treated those who did not respond to the question on trade union presence as if they had said that nobody at their place of work were union members. Normal practice would be to exclude such people from the calculations. In light of these findings, statisticians at BEIS have revised their methodology for estimating trade union presence. Today’s publication reveals that 49% of employees are employed at workplaces where trade unions are present. The effect of the change has been to increase the rate of union presence by 8 percentage points, roughly equivalent to 2 million employees. 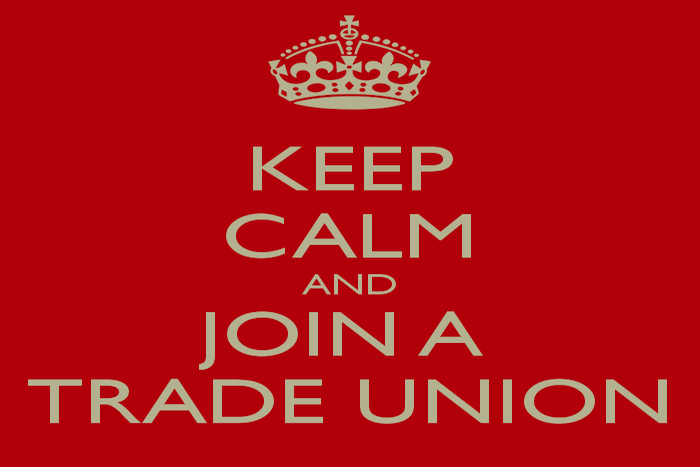 For more information about this research, please see the WISERD Blog Measuring Trade Union Membership: Harder than it may seem? More detailed analysis is available from the Research Note Making Sense of Official Estimates of Trade Union Membership. Rhys Davies is a Research Fellow at WISERD and Associate Director of the Wales Administrative Data Research Centre, based at Cardiff University. Well done Rhys – a fine piece of research!